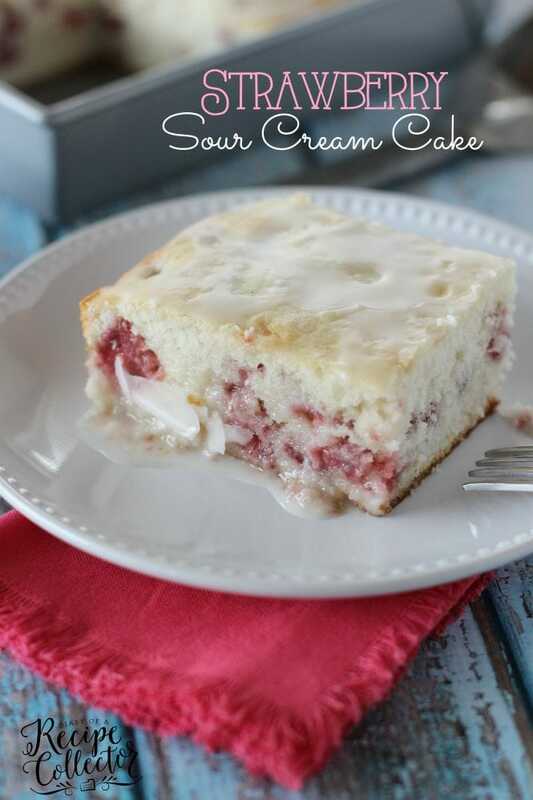 Strawberry Wet Cake – A super moist strawberry cake filled with real strawberries and strawberry jello and topped with a wonderful cream cheese icing and more strawberries!! It’s perfect for a crowd! So you guys it has been really rough over here for about a week. Sick kids are no fun, but when mama gets sick with them, that is really no fun!! When I woke up Friday morning, I knew I didn’t feel well, but I thought I was just coming down with the cold my kids had. I had a really bad headache. I had an appointment that morning to meet with someone who is making a sketch for some home remodeling we will be doing soon (more info on that later:) In the middle of my meeting, I suddenly felt really flushed and cold at the same time. I had a sudden urge to lay my head down. I knew it was going to be a rough drive back home…about 30 minutes. At this point, I was pretty aggravated with myself for not getting a flu shot. Now all my kids have had one, so I’m hoping that keeps them okay. The next few days were more or less taking it very easy and sanitizing everything! Here’s to hoping no one else gets sick because this sick business stinks! So I’m ending all this sick talk with this glorious slice of bliss! 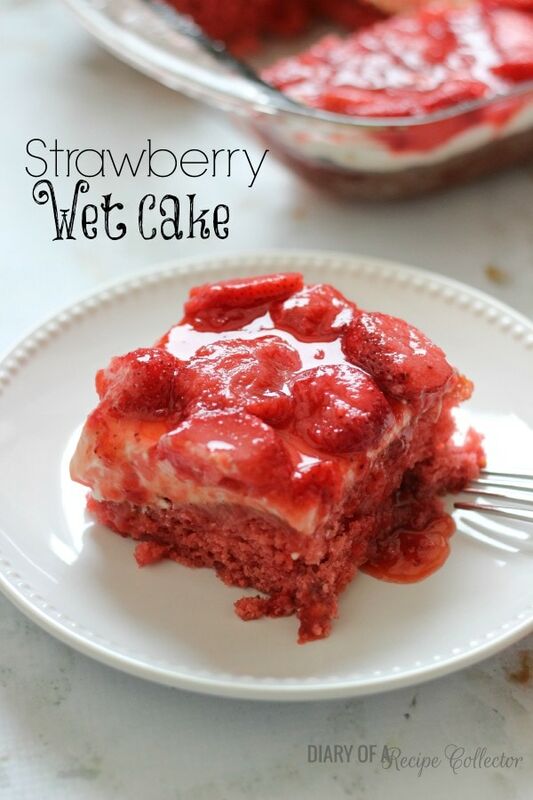 This Strawberry Wet Cake is fabulous! 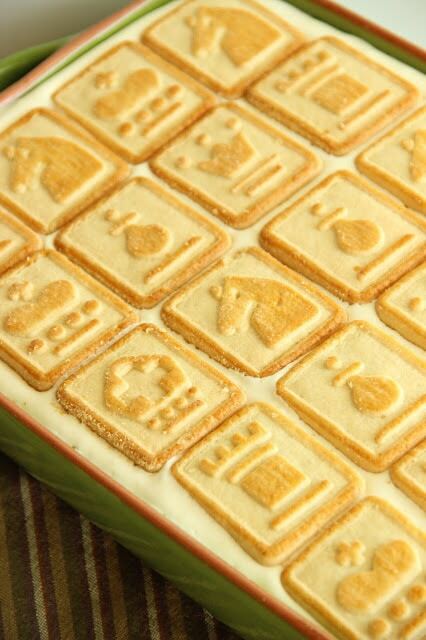 It is an old recipe that my mom had. When she told me about it, I knew I had to try it out. It is seriously one of the most moist cakes ever! 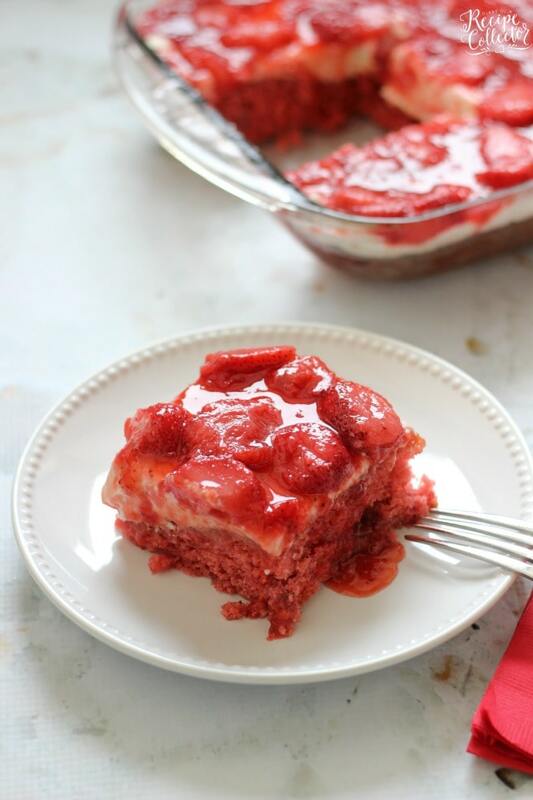 You finish it off with a wonderful cream cheese icing and more sliced strawberries. Now let me warn you. It is sweet and a little goes a long way. 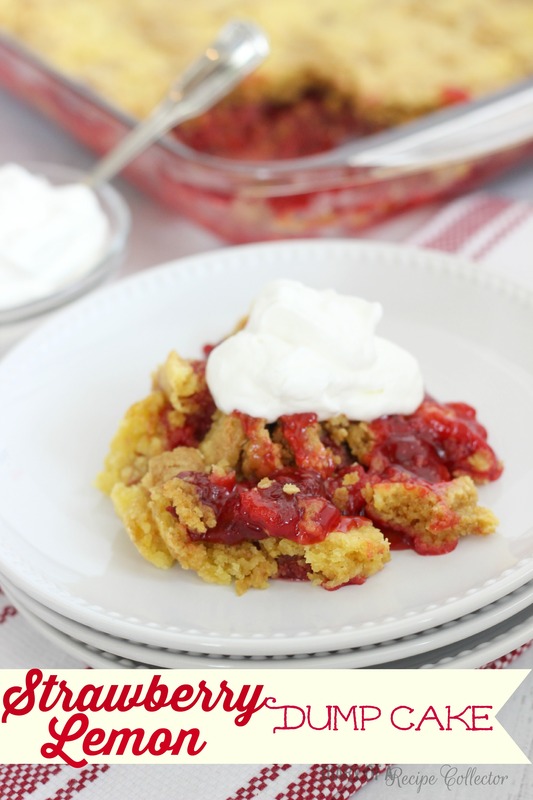 It would be a perfect dessert for a crowd. I promise people will be asking you for the recipe. Mix cake mix, jello, oil, and eggs. Beat for 2 minutes or until well combined. Stir in ¾ cup strawberries with juice and mix well. Pour batter into a greased 13 x 9 pan and bake at 350 for 25 to 30 minutes or until toothpick inserted in center comes out clean. Make icing by beating together cream cheese, both sugars, and vanilla. Top with remaining strawberries and juice. So glad you’re feeling better – it’s no fun when the mama is sick as there’s nobody left to take care of her! I think that gorgeous cake would solve just about any problem!! Pinned! Jaren that is terrible! My husband had the flu a few weeks ago and it hit him so hard, so fast! Luckily I have felt okay since then, I promise I want no part of that mess! Hopefully your kiddos stay well too! This cake looks like the perfect medicine! Love everything about this, espeically the name! Aww hope you are feeling better! I was totally kicking myself for not getting my 1 year old a flu shot this year…his first year in day care. Needless to say, we ALL had the flu in a matter of weeks. This cake looks delicious, love all those fresh strawberries! Jaren, I’m so sorry you have been so sick (and your kids too)! I hope you are feeling better and can eat lots of strawberry cake to get you back on your feet. Jaren!! I’m making this for my daughter’s birthday this weekend! When you say containers of sliced sweetened strawberries, do you mean frozen ones? I don’t know if I’ve ever bought anything like that. I’m so excited to make it! Yay!! Yes get the frozen kind! Hope you love it!! When you say juice. What kind of juice are you talking about for the recipe? Two questions about this fabulous cake. 1. Will this cake still be as good if it is served the sane day it’s made? I have an office Christmas dinner tomorrow evening and failed to get this cake made today. I’ve bragged on this cake since my niece made it for my birthday back in August so everybody is excited to try it tomorrow evening. 2. What can I use instead of the jello as I’m a strict vegetarian? Hi Carolyn! Sorry for the delayed reply. I know you already had your Christmas party, but to answer your question, I would think it would be fine to make the morning of as well. I would just omit the jello if you don’t like to have it due to your diet. 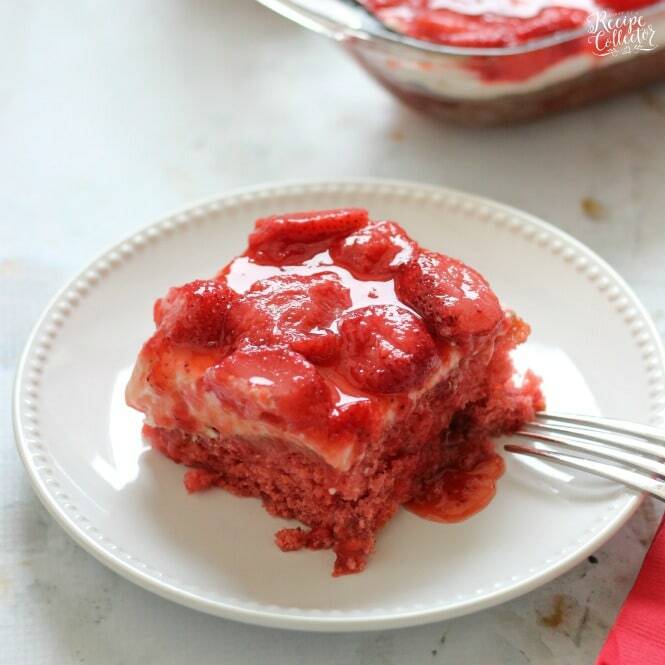 It just gives the cake a more dense texture and amps up the strawberry flavor. Have a Merry Christmas!! Thank you for your reply. Yes, we’re returning hone now from the dinner. I thought I should use a gelatin free type ingredient to keep the texture but if you think it would be fine without any type of gel substance I will omit it from the recipe. Hi there! This cake looks AMAZING!!!! How many people do you think it will feed? Thank you! Hi Kim!! It makes about 15 servings. Thanks for visiting! Its so delicious Jaren. Such a mouth watering recipe. thanks a lot for sharing. 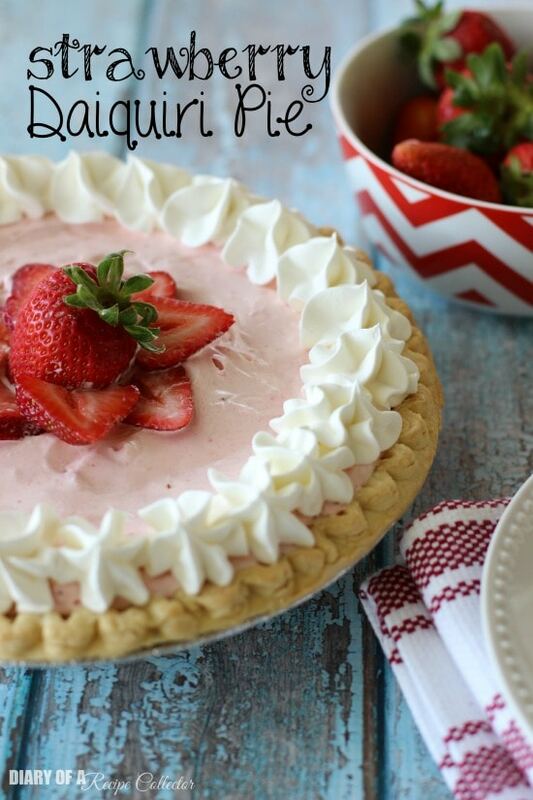 Im planning on making my own Strawberry buttercream frosting. Will that work just as well for this cake? Hi Christina! Yes, I think that would be good. The one in the recipe is a cream cheese icing.